US ITER is building one of the world's largest and most powerful electromagnets to energize the ITER Tokamak; the 13-metre-tall central solenoid will be located in the heart of the machine. In order to maintain structural integrity in the face of thousands of tons of force, the solenoid requires a specially designed support structure to hold the electromagnet in place. "With a typical solenoid, the electromagnetic forces pull the magnet together. But the ITER central solenoid is made of six different modules which are not all pulling together at the same time. They can be opposing each other with large magnetic forces," notes Bob Hussung, the lead mechanical engineer for central solenoid structures at the US ITER project managed by Oak Ridge National Laboratory. The forces affecting the central solenoid can be very large, in the range of 60 meganewtons, or over 6,000 tons of force. "For perspective, the Space Shuttle at lift-off had about 30 meganewtons of thrust. So we are handling about two Space Shuttles' worth of magnetic thrust," says Hussung. "With ITER, we're avoiding a launch! We're dealing with all of these magnetic forces, and we have to hold the solenoid in a very accurate position." To prevent movement of the modules in the solenoid during tokamak operations, the support structure is designed like a large cage, with 18 tie-plates outside the modules and 9 inside, plus lower and upper key blocks which connect to the tie-plates and attach the entire structure to the ITER tokamak. The complete central solenoid assembly weighs 1,000 tonnes. Two approaches are being studied to determine the best way to fabricate the long tie-plate structures. 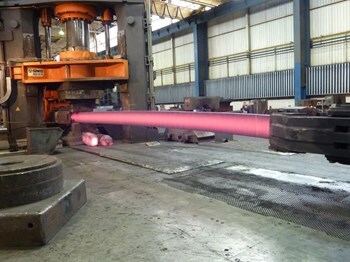 A welded tie-plate, manufactured by Major Tool, Inc. in Indianapolis, Ind., has performed well in initial testing, with results within the ITER requirement margin. 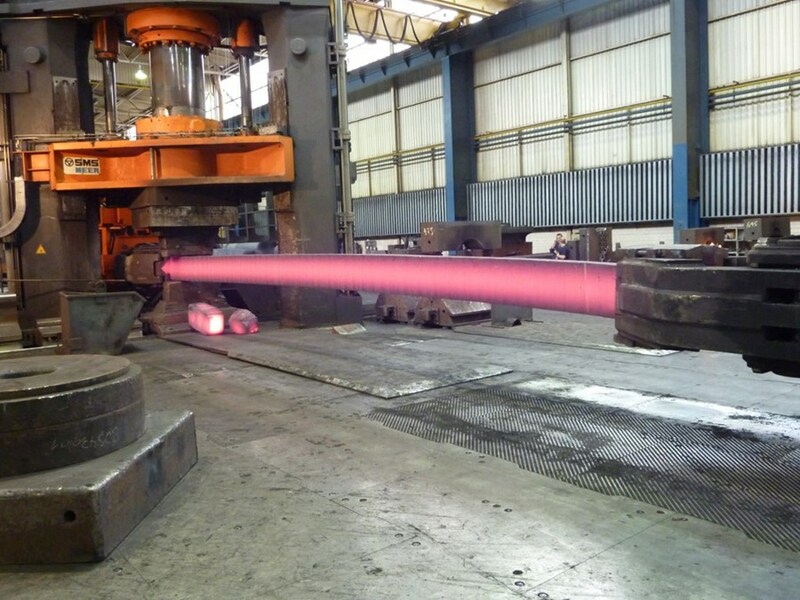 A single piece tie-plate, forged by Kind, LLC in Gummersbach, Germany and machined by G&G Steel, Inc. in Russellville, Ala., is also being fabricated; testing will begin in May. Hussung observes, "The big question for the one-piece tie-plate was 'can you fabricate it.' The answer is clearly yes, it is forgeable. Now the mechanical properties need to be confirmed through testing at liquid helium temperatures." Read more on the US ITER website.